Spain's minimum wage will jump by 22% in 2019 - the largest annual increase in more than 40 years. It means millions of low-paid workers could see a pay rise from €736 ($835; £665) to €900, effective from January. 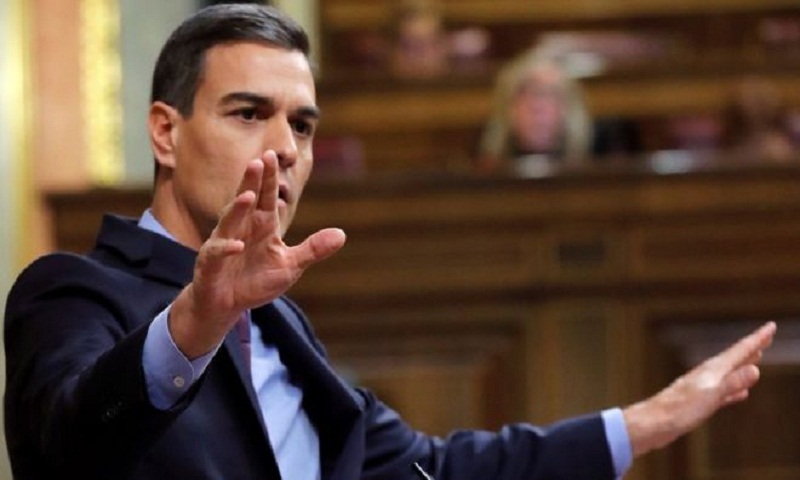 Prime Minister Pedro Sánchez announced the increase on Wednesday, declaring "a rich country cannot have poor workers". The announcement comes two days after France's president Emmanuel Macron announced a €100 increase for minimum wage earners from 2019. Mr Macron's move came after weeks of sometimes violent protests from the "gilets jaunes" movement against high costs of living. But while Spain's increase is part of an annual review, it is far higher than any adjustment in recent years. Spain's minimum wage is lower than that of the UK, Germany and France but higher than in other EU members including Portugal, Greece and Poland. Many workers in Spain are paid for 14 months of work, with extra payments in July and December - making the effective annual minimum salary €12,600. Ministers will approve the measure at their meeting on 21 December, Mr Sánchez said. It will then be authorised by royal decree, without the need for approval by parliament. Spain sets the minimum wage annually, but recent increases have been much smaller - set at just 4% a year ago. If all goes to according to plan, the increase will be the biggest since 1977, the year of Spain's first free elections following the death of dictator Francisco Franco.